Good morning. It's Monday, Jan. 28. • A severe labor shortage squeezes the state's farms. 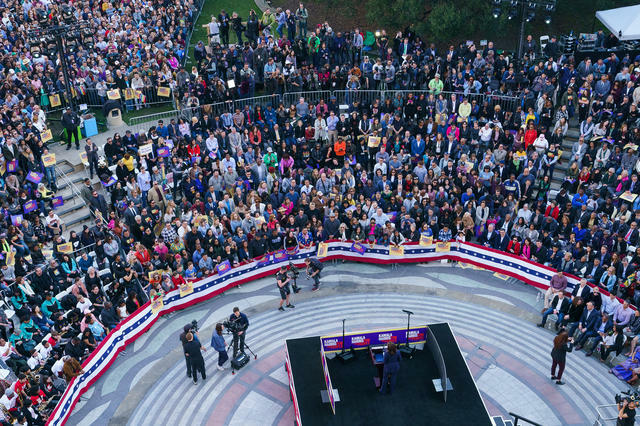 • Kamala Harris draws 20,000 people to Oakland rally. • And a family tradition of trolling the California DMV. 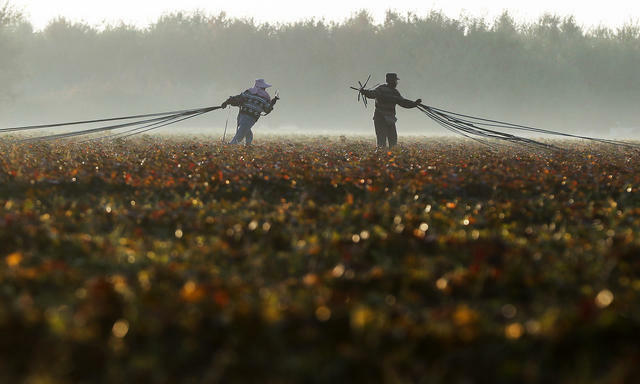 Mexican farm workers haul water hoses on a farm near Turlock Oct. 27, 2018. Minimum wage rules and severe labor shortages are squeezing California farms like never before. Part of the problem: Mexican migrants who once crossed the border routinely are staying away for fear of arrest. "If you want safe and wholesome and affordable food at home, we need to find a way to fix this," an industry official said. The National Rifle Association has successfully used the courts to tie up a voter-approved measure that made it illegal to possess high-capacity gun magazines in California. Now it's trying to kill another law that made it illegal to buy or sell the devices. Both cases could end up before the U.S. Supreme Court. Capital Public Radio combed through 100 years of fire data to create a fascinating interactive map showing the perimeters of more than 20,000 wildfires across time. It's a powerful illustration of how certain parts of the state have burned again and again. Here's Rose Ann Vuich in 1976, the first woman to serve in California's state Senate. Born on this week in 1927, she became a forceful advocate for Central Valley agriculture. 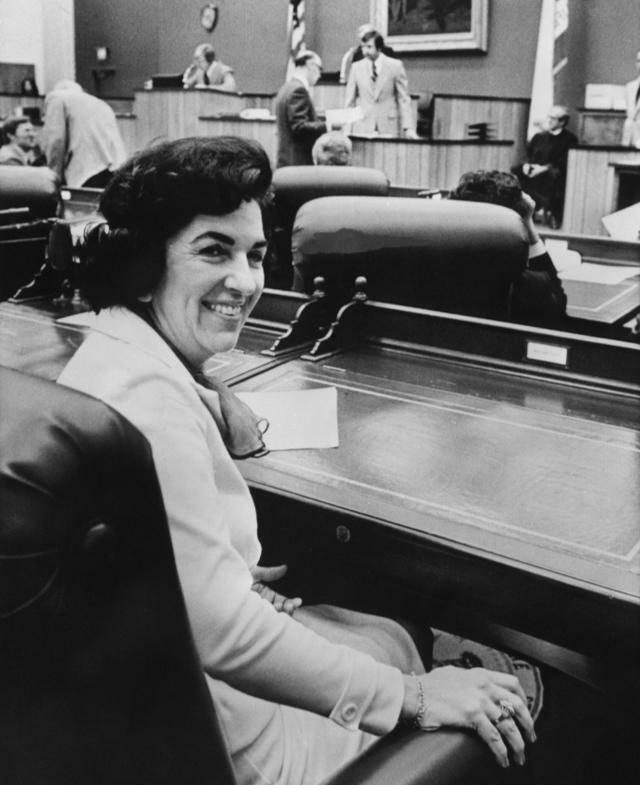 Vuich, a Democrat, famously kept a cowbell on her desk during legislative sessions and rang it whenever a male colleague addressed the "gentlemen of the Senate." "It was a men's club," one of her colleagues later recalled, "but she knew how to be pleasantly assertive." A California family enjoys trolling the government. A California family has a tradition of dressing up as wacky characters for their DMV photos. Past characters have included a mafia hitman, lumberjack, and civil war general. The stunt has caused headaches at the TSA line, said Jono Zalay, "But they mostly just do a double take and let me go on my way." Sen. Kamala Harris spoke to her supporters in downtown Oakland on Sunday. Sen. Kamala Harris returned home to Oakland to formally kick off her presidential bid on Sunday, drawing an estimated 20,000 people. During her speech, she laid out an agenda that includes expanded access to health care, universal pre-kindergarten, and tax cuts for the middle class. Above all, she portrayed herself as the anti-Trump. "We are here because the American dream and our American democracy are under attack and on the line like never before," she said. Fun fact: More people attended the rally than voted for Donald Trump in Oakland in 2016. He got about 8,000 votes. (h/t @JeremyBWhite). Sen. Kamala Harris has faced scrutiny for her past relationship with former San Francisco Mayor Willie Brown, who was accused of cronyism after appointing her to two well-paying posts. He addressed the matter in a column that ran just nine sentences long. Brown acknowledged helping many politicians in his career, but added, "Harris is the only one who, after I helped her, sent word that I would be indicted if I 'so much as jaywalked' while she was D.A." San Francisco's most famous street has become a nightmare of congestion in the Instagram era. 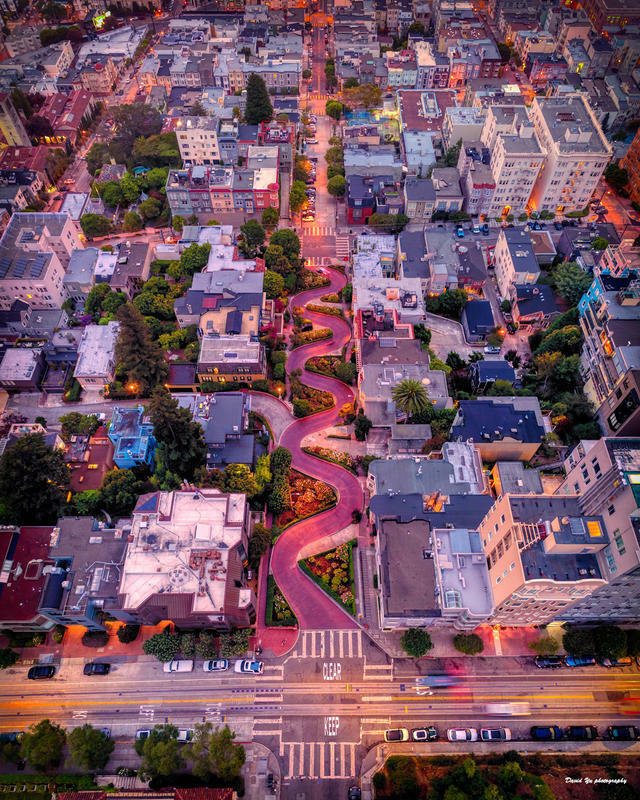 Zigzagging Lombard Street attracts up to 6,000 tourists a day. Now officials are mulling an electronic toll system that would charge as much as $10 to drive through the block. Authorities arrested a nurse near Sacramento over accusations that she ran an online pharmacy on the dark web that sold more than 20,000 opioid prescription pills. Prosecutors said Carrie Alaine Markis, educated at U.C. Davis, collected 206 Bitcoin, worth about $730,000. "You know some drunk is going to try to climb this." 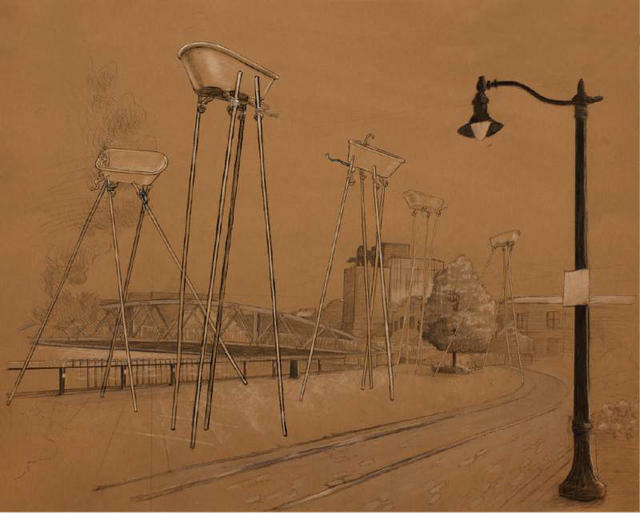 A public art project planned along the waterfront in Petaluma involves five bathtubs perched atop stilts. Supporters say they appreciate the whimsy. Naysayers say it will be an embarrassment to the city. 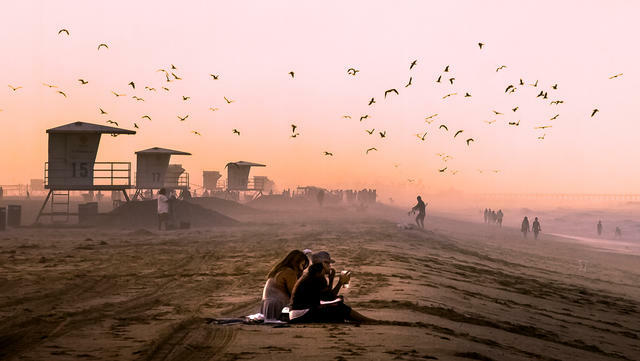 California invoked a new law to force the wealthy seaside city of Huntington Beach to end its opposition to meeting affordable housing goals, signaling an aggressive approach to the housing crisis by the new administration. "The time for empty promises has come to an end," state Attorney General Xavier Becerra wrote in a complaint. 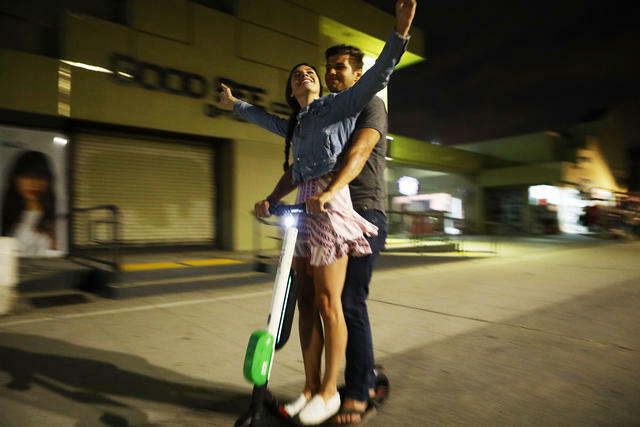 A man and woman rode an electric scooter along Venice Beach on Aug. 13, 2018. Injuries are piling up among riders of electric scooters. A study of emergency room visits at two Los Angeles–area hospitals found hundreds of broken bones, bumps, bruises, and head injuries — including brain bleeds — over the span of a year. It didn't help, doctors said, that only 4 percent of the injured riders wore helmets. "The problem is only going to get bigger," a medical professor said. Chadwick Boseman, surrounded by other "Black Panther" cast members, addressed the audience at the Shrine Auditorium in Los Angeles on Sunday. 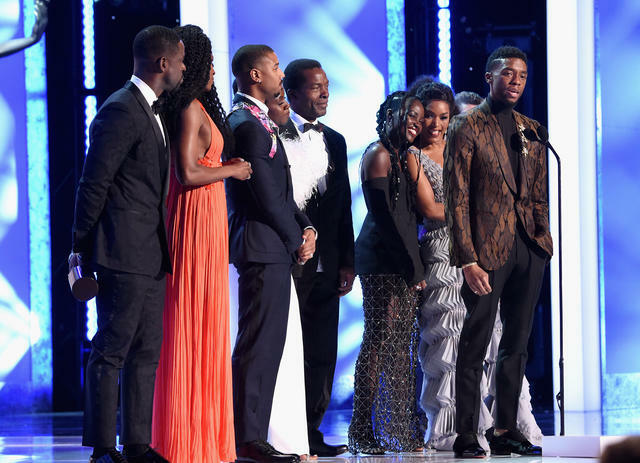 "Black Panther" became the first superhero film to win the top prize at the Screen Actors Guild Awards. Chadwick Boseman, speaking for the cast, acknowledged the importance of the award as a milestone toward greater inclusivity in Hollywood. (Watch the speech here). "We know what it's like to be told there's not a screen for you to be featured on," he said. "We know what it is like to be the tail not the head. We know what it is like to be beneath not above. And that is what we went to work with every day." 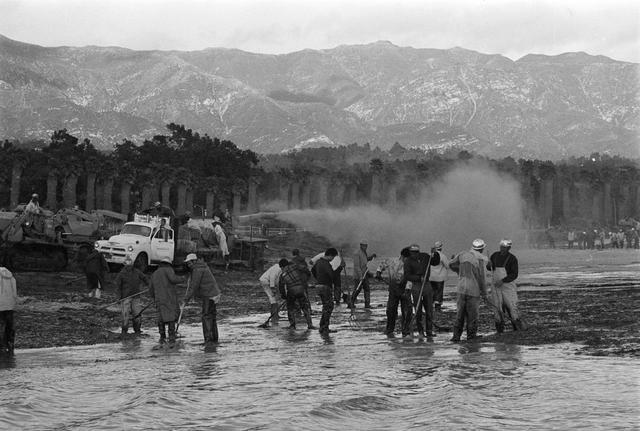 Workers raked an oil soaked beach in Santa Barbara on Feb. 2, 1969. On this day in 1969 an oil spill off California launched the modern environmental movement. An oil rig blew 6 miles from the coast of Santa Barbara, spilling 3 million gallons of crude oil. The crisis was televised nationally with images of blackened coastline and dying seabirds that horrified viewers. Californians' attitudes toward extraction industries changed almost overnight and led to a wave of laws. "Fifty years later," the S.F. Chronicle wrote in an editorial, "we can trace how that one environmental crisis gave rise to an ethos baked into Californians’ consciousness." 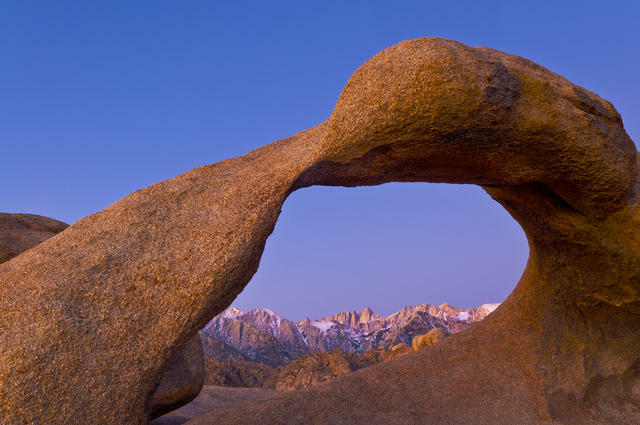 This is Mobius Arch on the Eastern side of the Sierra, one of the coolest ways to spy Mount Whitney from a distance. KCET included the area in its list of five geological wonders to see in Southern California.